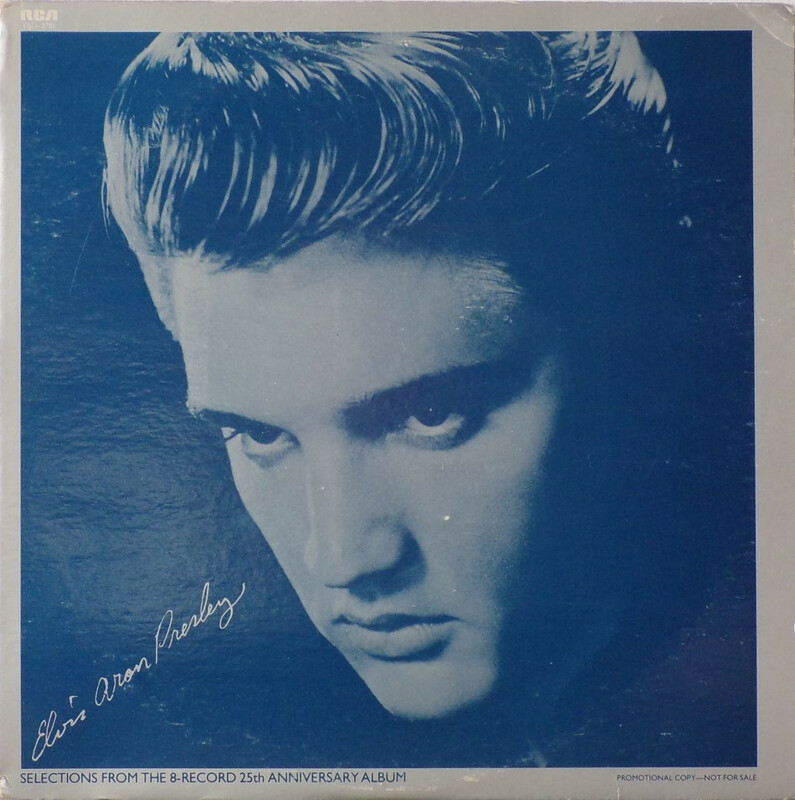 Brief History : This LP is the Radio Station Sampler issued to promote the box set Elvis Aron Presley. *NOTE* Released for promotional use only. 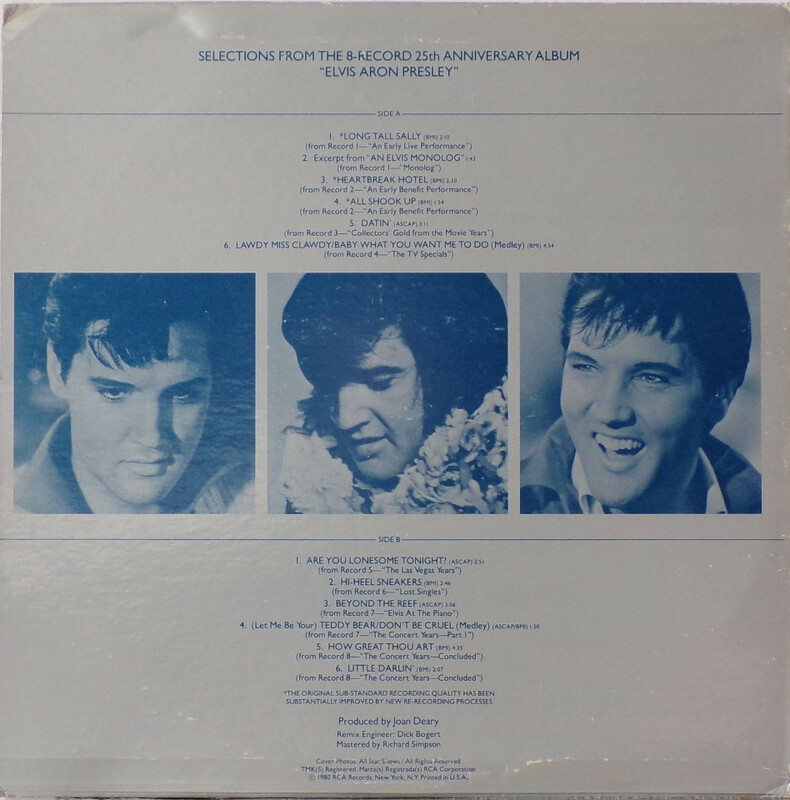 Selections from the Elvis Aron Presley 8 LP box set. 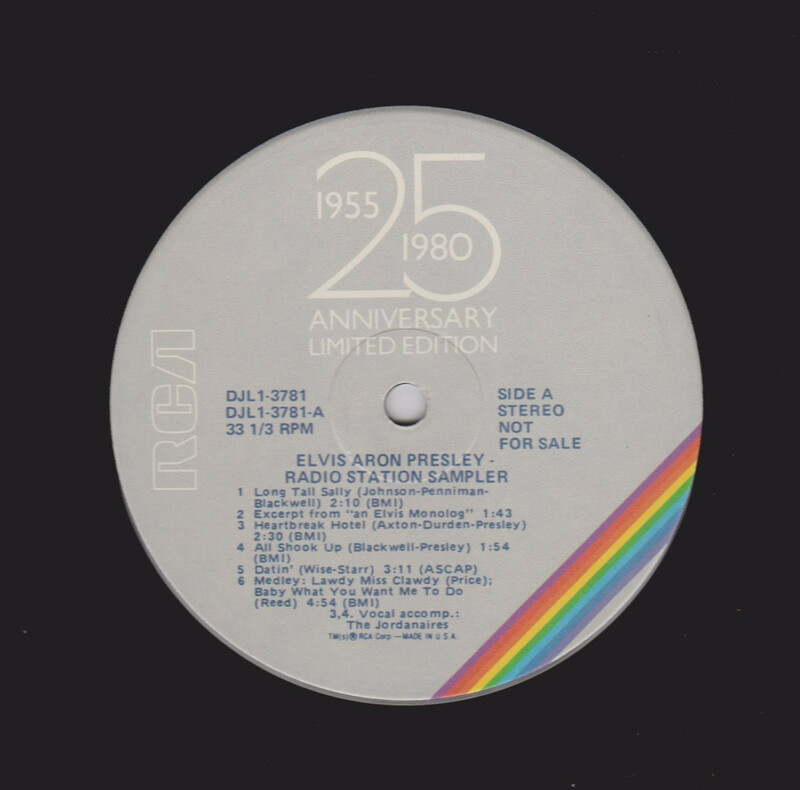 Not to be confused with the excerpts album also released to promote the box set.